VisibleWomanOnline - Reader Survey: What is Beauty? How Do We See Ourselves? Reader Survey: What is Beauty? How Do We See Ourselves? The words are Dorothy Parker's, the American writer known for her acerbic wit, but they well could have been said by British judge Constance Briscoe, who in her bestselling memoir, Ugly, recounts a childhood of abuse and neglect and unrelenting reminders by her mother that she was "ugly, ugly, ugly." The abuse, it seems, she could have weathered; the neglect, preferable to the abuse, but the constant reminders that she was "ugly" seems to have indeed cut the to bone. Today, in her early fifties, even after having a successful career as a barrister, becoming one of the first black women to become a judge in the UK, and thousands of dollars on plastic surgery, Ms. Briscoe, confesses in an interview available on YouTube that she "is still not done." It is not clear which of her features she considered objectionable, or how they organized themselves into a unified "ugly" existence and overall ugliness, although she says in the same interview she has had "everything -- eyes, nose, lips--done". She has even had her feet "narrowed" so she could fit into the elegant shoes her broad feet (and her mother) wouldn't allow her as a child. So this leads to the question, what is beauty? What arrangement of features do we, as women of color, consider beautiful? By the cruelest of ironies, it must have seemed to her, Ms Briscoe had a lighter skinned sister (she herself is a rich brown) who was nicknamed Beauty. What was it in 1960s South London where the immigrant Jamaican family lived, that determined what was beautiful and what was ugly? 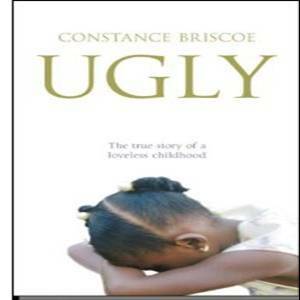 There were no photos of Beauty to compare with the childhood photo of herself that Ms. Briscoe includes in her book. But in London, as in the United States, as in many countries around the world to which Africans were displaced, lighter skin meant beautiful skin. "Refined features" were preferable to "coarse"ones. Our noses could be "broad" or "straight", our lips "thick" or "thin", and hair vary in texture from "nappy" to "good." One could fall anywhere on the spectrum. The right agglomeration of the preferred features meant you were beautiful.Today, we have made great strides. Alek Wek, of decidedly black skin, near-shaved head, and African features graced the November 1977 cover of Elle magazine, one of their biggest sellers ever. Black beauty no longer need be defined by Vanessa Williams, Alicia Keyes, or Beyonce Knowles. Yet, we still pinch and primp, nip and tuck, straighten or weave our way into what we consider beautiful. Many of our female celebrity icons we emulate have had all the ethnicity airbrushed out of them. Hair (for many who still wear their own) has become lighter and lighter, and in a lot of cases, frankly blond. A good weave can cost thousands of dollars, and let's not forget all the creams, lotions and chemical-laced potions we slather on, all in the quest for beauty. Yet, we cannot deny that beauty is powerful. >>>>>>>>>> we realize--although we knew is all along--that beauty, like life, is complicated. Enter first name or initials.